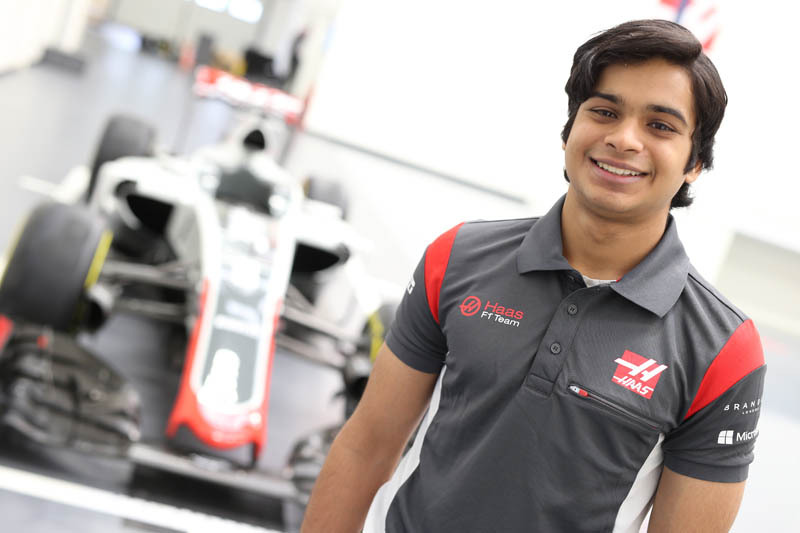 Days after confirming Santino Ferrucci as development driver, Haas has added Indian racer Arjun Maini to its roster. 19-year-old Maini is competing in the GP3 Series for Jenzer Motorsport after running 14 of the 18 GP3 Series races in 2016. Despite missing the first four races, Maini finished 10th in the championship standings with a best finish of second, earned July 23 at the Hungaroring in Budapest. "It's an honour to be a part of Haas F1 Team's driver development program," said Maini. "All of my racing to date has been with the focus of becoming a Formula One driver, and this opportunity puts me one step closer to my goal. I am eager to learn, understand and experience how a Formula One team operates. Everything I learn can be used immediately in GP3 while preparing for my ultimate goal of Formula One." Like Ferrucci, Maini will be embedded with Haas F1 Team at every opportunity, attending races and tests throughout the year while also participating in the team's simulator program. "As Haas F1 Team continues to mature, we must look toward our future and develop potential talent," said Guenther Steiner. "Arjun was successful in karting and has transitioned well to various Formula series and now GP3. We'll keep a keen eye on his progress this year." Maini earned his first title in 2007 when he won the Rotax Mini Max National Championship. Numerous wins and podiums followed before he began the transition to open-wheel machines. He won the 2013 Formula BMW Super Six Series in Asia and finished second overall in the 2014 BRDC Formula 4 championship with four wins, 10 podiums, five poles and six fastest laps. In 2015, Maini competed in the Toyota Racing Series New Zealand and finished fourth in the standings with two wins, five podiums, three poles and two fastest laps - a performance that led him to GP3 in 2016. Check out our Thursday gallery from Barcelona, here.